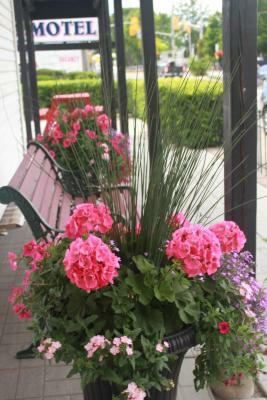 Lock in a great price for New Rockland Motel - rated 8.6 by recent guests. The room was 100% clean, very quiet, bed was comfortable, and the hotel is within walking distance of the shopping area. We booked two rooms and were advised our dogs could stay in one room. When we arrived there was a mix up and we had to stay in an older room. Thankfully we were able to switch with another family member otherwise we wouldn't have been able to stay. The older greeter lady was very grumpy and not pleasant to deal with. However Nalini was amazing and so pleasant to deal with prior to our arrival. Location was fantastic and within walking distance of much to see and do. We had the queen room with kitchenette. It was roomy and comfortable. Apartment size fridge was nice! The location to the downtown is superb if you are looking to go for a stroll everything is close by. Staff is very helpful and friendly. Rooms are large and clean. My family enjoyed the stay and would come back again. Quiet place close to all attractions, services and waterway. Very clean motel with all rooms remodeled in modern style and with kitchenette. New bed furnitures and all furnitures in room. We recommand this place. Very clean. Friendly staff. Absolutely amazing location. Location was easy walking to everywhere around town and the park area! 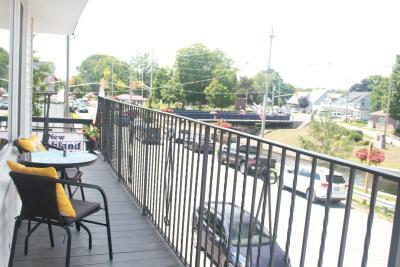 This motel on the Trent River in Bobcaygeon features a flat-screen TV and free WiFi in every room. The Boyd Heritage Museum is 2 minutes' walk away. A microwave and refrigerator are included in every guestroom at New Rockland Motel. Select rooms feature a kitchenette and a sofa. At New Rockland Motel you will find a 24-hour front desk. The property offers free parking. The motel is 0.6 miles from Kawartha Settlers Village. The Bobcaygeon-Verulam Community Center is 7 minutes’ walk away. 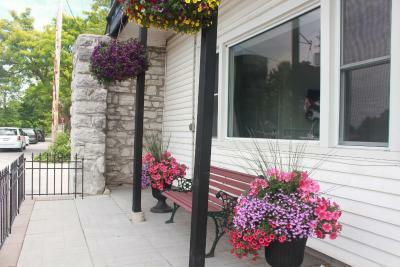 This property also has one of the best-rated locations in Bobcaygeon! Guests are happier about it compared to other properties in the area. New Rockland Motel has been welcoming Booking.com guests since 9 Jul 2014. When would you like to stay at New Rockland Motel? Offering a kitchenette, this room also includes free WiFi, flat-screen cable TV, a microwave and a refrigerator. This room features free WiFi, flat-screen cable TV, a microwave and a refrigerator. House rules New Rockland Motel takes special requests - add in the next step! All further children or adults are charged CAD 15 per night for extra beds. Bankcard New Rockland Motel accepts these cards and reserves the right to temporarily hold an amount prior to arrival. New Rockland Motel accepts these cards and reserves the right to temporarily hold an amount prior to arrival. Please note, only 1 room can accommodate pets. Please contact the property directly for more information. If anything doesn’t meet your expectations, mention it to Nalini. She does her best to address all issues quickly and effectively. Cozy clean motel right in downtown Bobcaygeon. Nalini is a wonderful owner who will go above and beyond to ensure your stay is comfortable. The bathroom is VERY tiny, while using the toilet your knees are right up against the bathtub..you have to be very slim to use it. The bath towels are very thin and small. There were no drinking cups, only 1 pkg. of coffee, no kleenex, no clock, and no bar soap. For what we paid, it certainly was a very basic room. The lock on the door didn't work and couldn't be fixed until the next day, so, we had no protection while in the room or going out. I wouldn't ask for a room on the ground floor again. Window shaker air conditioner didn't seem to remove humidity very well, it was good enough but perhaps the unit needs replacing eventually. Not a huge deal but I did notice it. Some bigger bath towels would be a nice addition. The only negative issue was the toilet was so close to the bath tub. Anyone taller would bump into the tub!